In battle, the drow choose armaments that give them the greatest chance of winning. When grasped in your hands, the Dark Elven LARP Glaive proves to be an excellent weapon that will help you achieve victory over your enemies. 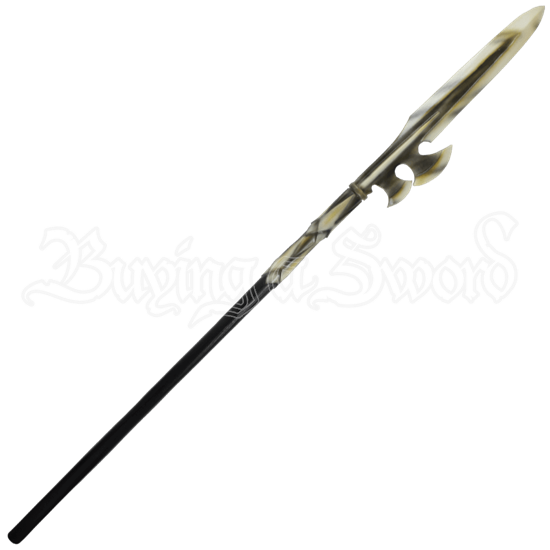 This polearm is as much a spear as it is a glaive, possessing a distinctive head perfect for cutting and stabbing. 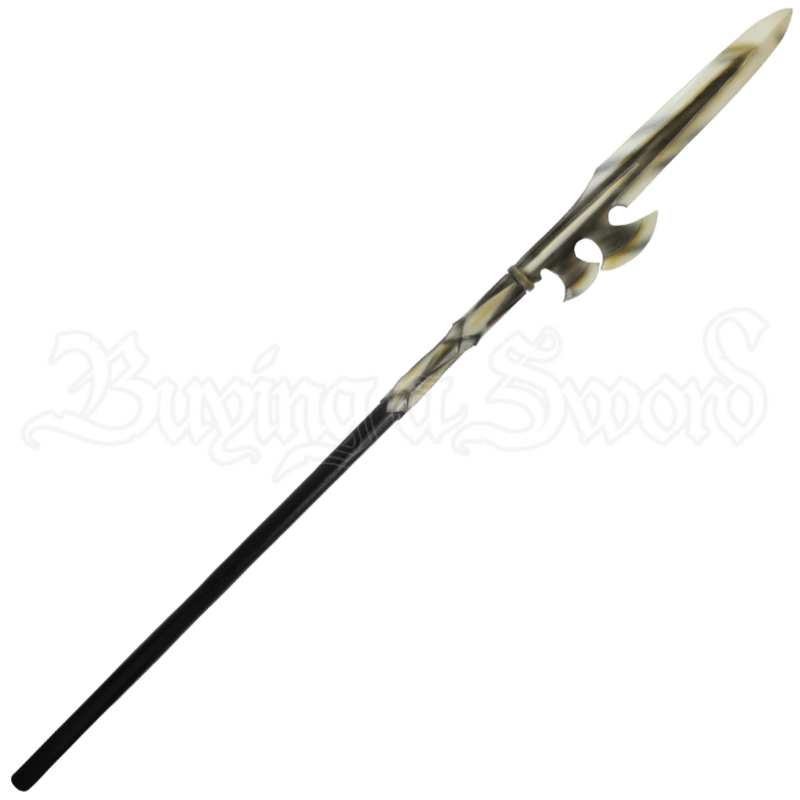 The leading edge of the spear-like blade features two crescent-shaped extensions, which enhance the look of the weapon, making it seem all the more lethal. A deep fuller runs down its center. The finish is distinctive, almost bone-like. A dark wood texture covers the shaft. This item is made from an extremely durable foam that does not shred and sealed with a strong coating of latex. Safety is always an important issue in LARP, which is why this weapon has a round, flexible fiberglass core with strong Kevlar core tip protection.